The ever popular and highly regarded Royale floorplan by Toll Brothers is an open layout, perfect for entertaining, with numerous sliding doors and over sized windows to highlight the private screened lanai with pool. This 4+den/ 3.5 bath home offers a 3 car garage, wood floors in the kitchen & family room, marble in the master bathroom, custom wine bar, 12' ceilings, 8' doors, mitered glass windows overlooking the pool, crown molding, granite counter tops & GAS appliances! Yes Belle Lago is one of the few communities with natural gas. Conveniently located in Estero, Belle Lago is a luxury resort community w/ 4 Har-Tru tennis courts, Grande Clubhouse, expansive zero entry resort style pool, whirlpool spa, children's wading pool, Basketball court, playground, state of the art exercise facilities, billiard room, & a boardwalk through an expansive nature preserve. Golf membership is available through the Estero Country Club & accessible via cart path through the community. 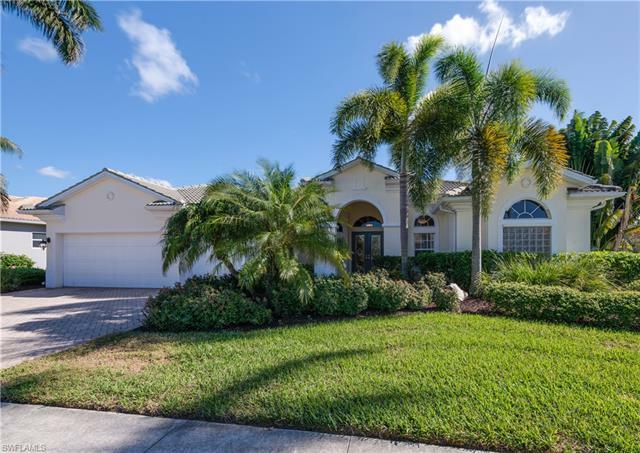 Belle Lago has NO CDD and owners have the option of joining the Estero Country Club, which is accessible by cart path right across the street from this home.